Say hello to Henrietta P. Hoppenbeek. If you're going to be a really good friend to her, then you can call her Henri. Henrietta is a ball of energy who has a baby brother named Albert, a dog called Madge, and mice called Flora and Dora. She also has a mum and dad, grannie and grampa, an Uncle George, and a best friend whose name is Olive Higgie. Henrietta is full of talent, the kind that comes from her imagination and lets her be a surfer, a rhinoceros dueller, guitar player and many other things. But what Henrietta really wants to be is an explorer. She dreams of exploring places like the Land of Squishy and Spiky Things or the Wide Wide Long Cool Coast of the Lost Socks. Henrietta is good for all kinds of advice, too. Like how to become an animal (just in case you were wondering, it involves getting dirty and howling), and that crocodiles only like to eat grown ups (because they are fatter than children). You never know what Henrietta is going to say or do next. She's bound to surprise you. 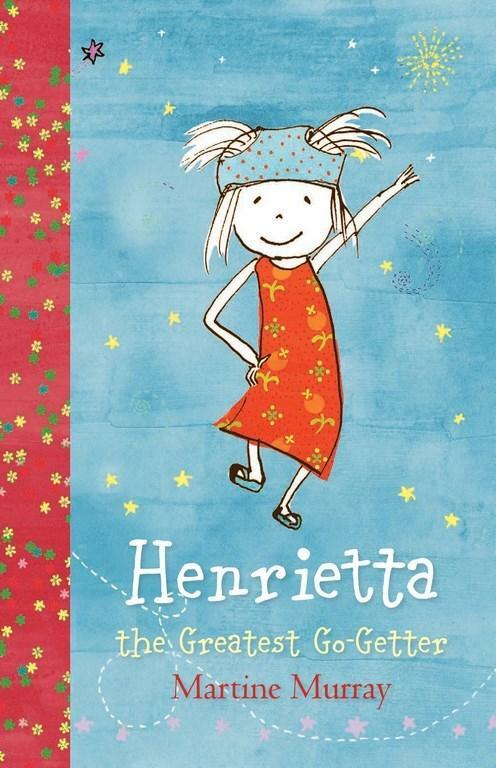 This compilation brings together three books by author and illustrator Martine Murray: Henrietta There's No One Better, Henrietta the Great Go-Getter, and Henrietta Gets a Letter. It's an appealing package with large print text that often drifts off on a different angle or jumps out in a contrasting typeface. There are also lots of quirky pictures. 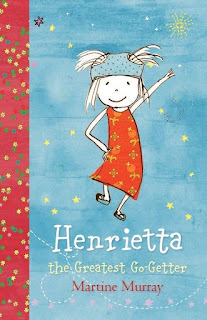 In reading Henrietta the Greatest Go-Getter, curious and adventurous kids will hopefully see a bit of themselves in Henrietta and her tales, while adults might gain greater insight into their children's imagination. A great book for newly independent readers, or shared reading sessions.